Among the many certainties in life, one is technology moves ever onward in the quest to reinvent the things that touch our lives. 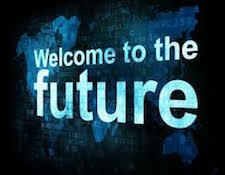 What is sophisticated and advanced today will certainly be eclipsed by something even more advanced tomorrow. Computers are a perfect example. 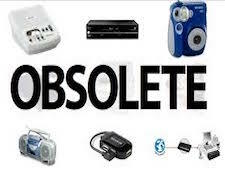 Remember the old truism - by the time you get your new computer home from the store, it will already be obsolete. We audiophiles also have a two edged sword when it comes to advanced technology. On the one hand, as we move farther down the technological road, the available features on new equipment becomes ever more advanced. But what is revolutionary and groundbreaking today may be commonplace tomorrow, and replaced by some new advanced benefit. My DAC, for example, when I purchased it, was one of a very few that up sampled PCM to DSD. Now a myriad list of components can accomplish this feat. Perhaps there is no area of high performance audio with more rapid technological changes than digital audio. I read an article the other day about how using a server with J River and J Remote on a smart phone could enable streaming from a music library on the server to a handheld device for remote playback. "Wow!" I thought, "that would be great!" I could stream music from my server to the iPhone, connect via Bluetooth to my car's infotainment system, and expand the availability of my music while I'm driving! I have a server loaded with music, I have J River, I have an iPhone with J Remote, I have a car with Bluetooth and I sure as shootin' would love to take my music collection with me when I am in the car! According to the article, all I would need would be an Internet connection. Sounds pretty easy, right? Only one problem - the directions on how to go about accomplishing this seemed pretty confusing and beyond what I was comfortable trying. While I do possess some degree of technical sophistication, the complex settings and unfamiliar terms gave me pause. As I read through the steps, happily proclaimed as being "easy," I realized by step three that should I try this, I ran the very real risk of damaging my server because I might inadvertently change some setting necessary for regular playback. I wouldn't risk that so I stopped reading the article. This raises a much larger question - Are we, as a hobby in whose most basic concept is playing a song, becoming too difficult for the average person to understand? I was talking with a good friend recently who, at the time, was setting up a really nice system and explaining to him how a music server works. My explanation was met with a mostly blank stare and finally this comment - "this sounds really complicated." What is simple to some, can be virtually impossible to others. Of course there are also the boxes themselves. I've had numerous people, all of them non audiophiles, ask me what all "that stuff" does when they first see my system. While audiophiles understand things like amps, preamps, DAC's, interconnects, not to mention - slap echo, frequency range, the sweet spot, and on, and on, on, the average person really doesn't. Any "civilian" who has ever looked behind my rack was almost left in disbelief and wonder while exclaiming "Look at all those wires!" We've all heard the comparisons - the average pocket calculator has more computing power than the Lunar Module that first took two astronauts to the moon. Computing power of a 1995 era computer pales in comparison to what even the most rudimentary laptop, desktop or even smartphone possesses today. That technology is constantly changing for the better is a certainty and applies to spaceships just as much as it does an audio system. But if you can't get it to work, does that matter? Another condition we audiophiles frustratingly face is being left behind. Spend much time reading the audiophile press and you'll see announcements for new whatevers are not uncommon. How applicable is it to have that old computer maxim applied to an audio system? Right now, I have a preamp that has been upgraded by a new model. Looking at the manufacturer's web site it no longer shows my model. Instead it shows the new model. So I have two choices - live with the component I have or buy a new one. Suppose I want to stay on the cutting edge of components across my entire system? That sandbox is one that requires a steep price if you want to keep playing in it. Let's face it, very few of us can reasonably afford to always have the newest component in our system. So we wait, bide our time, save our money, and upgrade a select component when we can. If you are thinking that this sounds like a vicious circle, then your thoughts and mine run parallel. So what is the answer? Well, probably one of two things - get a big raise or be content with what you have, at least for now. And don't get too upset as you watch technology move forward. We all want the marvelous breakthroughs that engineering advancements provide - even if it takes most of us time to be able to afford them.